Just came in from tearing the drivers side rear down. The rear brake pads are worn. The inside pad more so than the outer pad. The inside pad was stuck in the slide. I took the slides out and cleaned everything up with a wire brush. I also removed the rear hub and bearings. Once the nut is taken off, the hub and bearings are a slip fit over the axle. 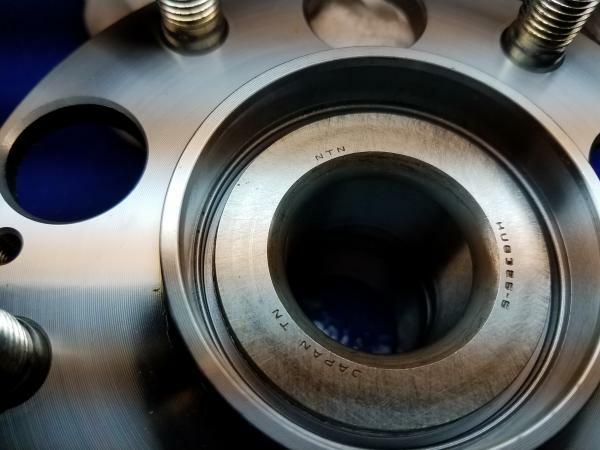 It is two bearings in the hub housing. The outer bearing has a rough feel to it while the inside bearing is nice and smooth. I do have the Timken bearings and hub coming as an assembly from Rockauto. Someone has been into this side before because there were no retainer screws in the rotor. I greased the slides, cleaned the edges of the pads and greased them so they would slide easy and not get stuck. The new hub assembly will be here in a few days and it will be an easy swap. Maybe an hour to change from start to finish. I'll let everyone know if that is my fix. I guess I need to find some pads for the rear now. If I had a press, I would have no problem buying bearings and pressing them in. I am sure You could probably save even more money over the Timken assembly. But my time is worth it not to have to go through that. I changed the rear hub out this morning. That was the noise. Super easy swap. I have a cordless impact wrench and it made easy work of the lug nuts and wheel hub nut. I had the hub changed out and back on its wheels in about an hour. Car runs smooth and quiet again. Well pleased with the Timken hub. I assume the hub and bearings are stock in this picture. This is the new Timken hub. Notice the bearings are the exact same. If the hub in the above picture is stock, then the Timken hub at Rockauto for $85 is a much better buy than buying from Honda for $250. 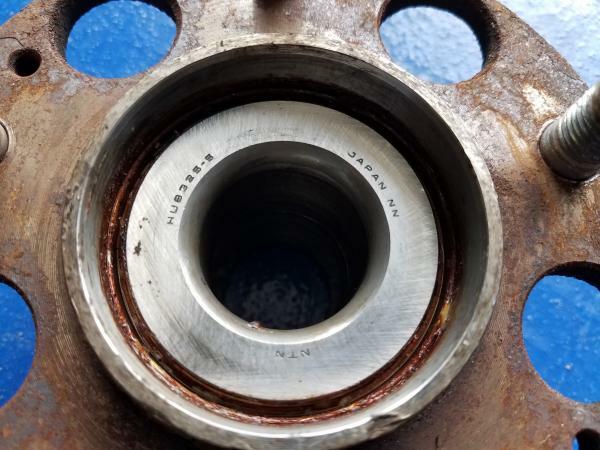 I do not believe Honda makes Hubs or bearings they get them made by any number of Manufactures to their specifications. It is called private branding. This is the nature of manufacturing these days. As long as the parts meet or exceed the recommended specifications there should be no difference. I agree with you on that. Denso corporation is not too far from where I live. I know they make parts for several car manufacturers. I searched on here and didn't find very much information about the rear wheel bearings. I was just pointing out that the Timken assembly matches the assembly I took off of my car. The Timken box did say made in Japan.